1**Yates Finance Discount $1,000. Must finance minimum of $25,000 through Yates arranged financing. 2**Yates Trade-In discount $1,000 rebate trade assistance for any 2012 trade-in with less than 80,000 miles. 3Not available with lease and some other offers. See dealer for details. 4Must finance through GM Financial. Some customers may not qualify. Not available with some other offers. See dealer for details. 1**Yates Finance Discount $1,000. Must finance minimum of $25,000 through Yates arranged financing. 2**Yates Trade-In discount $1,000 rebate trade assistance for any 2012 trade-in with less than 80,000 miles. 1**Yates Finance Discount $1,000. Must finance minimum of $25,000 through Yates arranged financing. 2**Yates Trade-In discount $1,000 rebate trade assistance for any 2012 trade-in with less than 80,000 miles. 3Savings only available on select, in-stock units. Some rebates may not be combined with other offers. See dealership associate for details. Rebates subject to change at any time. Call (623) 748-0839 for a Product Specialist. Purchase or lease a GMC Sierra 1500 in Goodyear near Avondale. Why is the Sierra 1500 so well-liked by Goodyear drivers? 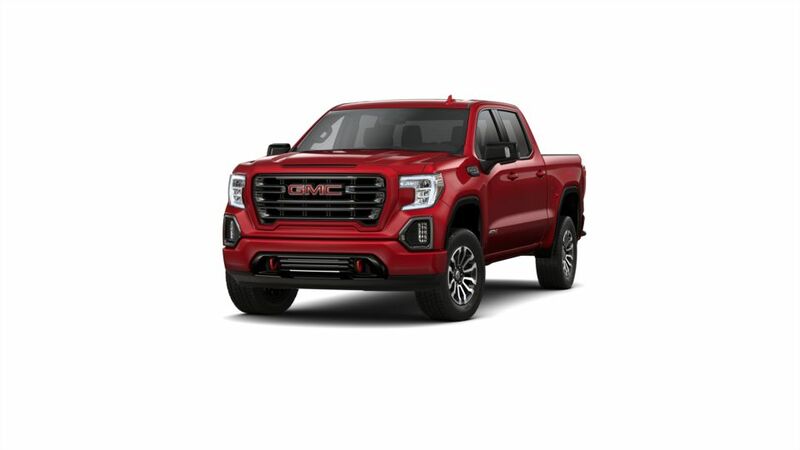 The GMC Sierra 1500 is a light-duty pickup that is versatile, reliable, and a joy to drive. Technology lovers can enjoy available onboard 4G LTE Wi-Fi and the capability to connect a smartphone for accessing apps and contacts on the road. Innovative safety features such as forward automatic braking and Lane Keep Assist to help you prevent collisions as you drive. Explore our inventory of the all-new GMC Sierra 1500 in Goodyear to choose the color and options that you need. Call Yates Buick GMC at (623) 748-0839 for more info and to plan a test drive. We are just a short drive away for customers from the Phoenix area. Get a quick quote today or make the most of the GMC lease deals that we are offering!